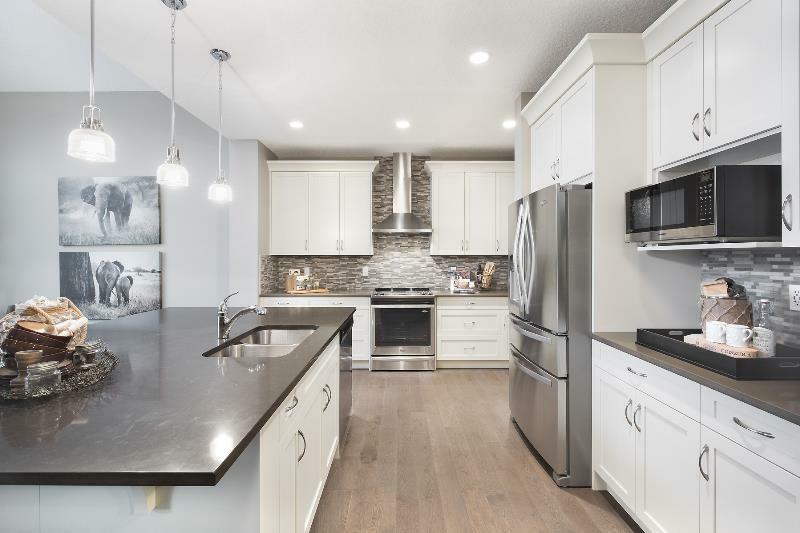 Through our History as an innovator in building award winning new townhomes and new houses for sale since 1978, Homes by Avi continually positions itself in the most desirable Calgary communities while introducing new product lines designed for today’s families. Now with operations in three markets throughout North America, we still approach every home like it is the only one we are building. Our superior standards are assured through Homes by Avi’s dedicated customer service department, as well as a comprehensive six-stage quality control process and two third party inspections prior to possession. Building award winning new houses and townhomes for sale in an ecologically friendly manner is a commitment we made long before “green” became a buzzword. In 1983, we were among the first new home builders in Calgary to construct an R2000 home and lead the market in environmental building practices. Today we continue to address issues such as indoor air quality, energy and resource efficiency, comfort, durability and overall value in all of our new townhomes and houses. 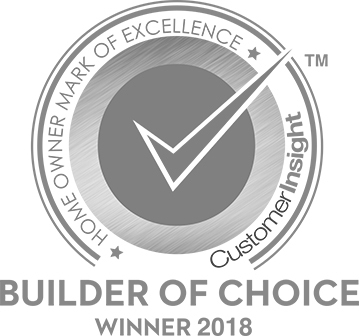 Homes by Avi is a Certified Master Builder and honored to be recognized as an industry leader in the construction of new townhomes in Calgary. Each of our new townhomes for sale provides an excellent buying option for empty-nesters looking to downsize, busy professionals, and first time buyers looking to enter the real estate market. Our new townhomes are generally less expensive than single family homes and offer more privacy than typical condominiums. New townhomes for sale by Avi can be the ideal property for a broad range of buyers. To learn how our experienced home builders can help create your dream home, contact us today. Avi is awesome, Paul was super helpful. In general I am happy with it. I wish that the things that got done, that it got done right the first time. It was a very positive experience and they did a great job. When Im asked about my new house I tell everyone how Homes By Avi made buying a presale home simple. This is my First Home and first time with a new build. Im happy I picked Homes By Avi because they really put the effort in to make it a good experience. So Far the energy efficiency of my home is exceeding my expectations. The sales team at the Tuscany show home are the best. Rut was phenomenal to work with, as was Craig. I can’t say enough about the team and how easy this process was working with them! Thank you! Homes By Avi are a good builder, like for our situation being the first time buyer, the area manager was helpful (Mr. Reg), they give us any option for our payment status and help during our selection for the outdoor and indoor. Every time we asked him to visit the house during the construction he was their for helping us to open the door in order we can get in. He give us the good location for our house. Thanks for him. I am disappointed in the Garage not being able to fit a normal truck, given this is Calgary the design of the garage length is not reasonable. Also, there is severe cracking in on the garage floor which no construction joints to ensure this does not occur in the slab. The service was great and getting answers on the house. Home By Avi was good to deal with and addressed all my issues int he first year. I would deal with them again. Handling subcontractors and making sure that they are doing the work right the first time and take responsibility for the work. Overall we are happy. Our experience has been really good. Professional and up front. No secrets. Everything has been awesome and no complaints and I would love to build another house with them. We are very satisfied with the service overall. The house is beautiful and more than we ever expected to have. The sales person Calvin was amazing. Everyone we dealt with was great. We dealt with a few people in the show home and they kept us in the loop so we appreciated that. not have covered roof. It brings lot of snow and rain water. Builder says it’s design which I have accepted. Builder thinks that customer should know all technical things. They don’t have any application which tells you how your home will look like so customer has to guess. Area Manager Reg Lee is an asset for homes by Avi. It was pleasure dealing with him. My husband and I have had a great experience with Avi. With the exception of our air conditioning being wired incorrectly and the fireplace, we have not had any major issues with our home. We truly love our home ans have enjoyed the experience working with Avi. Homes By Avi have been an incredible company to work with and have provided my wife and I with everything we could have wanted in our first home. We can't wait to build our next Avi home. Overall my partner and I are very pleased with Homes By Avi and feel that as first time home buyers we were (and still are) very well taken care of. Even though our one year warranty is over, we feel that we can still contact Homes By Avi with any questions or concerns. We do have one complaint however and that is with the landscaping company (Peter Hughes) - they have been unprofessional, lazy, messy, and done sloppy work at almost every turn. Due to poor workmanship we will end up re-doing some of the leveling and sod ourselves this coming spring/summer. We think that they should be held at a higher standard or Homes By Avi should contract a better company. But again, our first home has been outstanding thus far and I thank everyone at Homes By Avi who helped us through this journey! You did a great job, keep it up! Homes by Avi is great builder. Better than the rest. i would like little more transparency in explaining considering the first home buyers. sales person assumes most of the information to be known by the buyer. Sales and service team of Homes by AVI is very professional. I really appreciate for their friendliness and willing to assist. I'd like to say my direct contact people, sales manager Susan Liu has been a great resource for getting all the information and made the whole purchasing process smooth and delightful. Also, Joanne Reehal from the Selection Studio were very professional and patient when help us with selecting all the materials. Finally, Paul Anderson who visited my house a few times during the year have been always on time, and he is very friendly and professional, and very helpful. Overall, I had great experience with Homes by Avi, not only the people I mentioned above, but also everyone that I have met at the showhomes and the selection studio. Thank you all ! My house is nice new and up to date. Exactly what I was looking for. We didn't have much problem with it. Very good build but there are still some issues that need fixed. Overall good,. Homes By Avi is the best builder from what I can tell. I had a really good warranty experience. I appreciate Paul Jackie Garry and Noni. The site team was fantastic. Happy overall with the home. There are some things that need sorted. Our biggest concern are the delays coming out of winter that put the schedule back and the lack of responsibility taken by the builder for those delays. I wish there was a larger water tank - we cannot fill the soaker tub with Hot water. It turns cold. Well built home. Thank you! Most of the time I am happy. We had concerns and they helped us. so I am happy. We just a few things to fix. Meagan and William helped us a lot. In future if we build another home with Avi, I will go with Meagan again. I have referred a couple of my friends to Meagan. She is building to and she helped every step of the way. It was a good experience. We are happy with our house. We would recommend to friends. Overall the experience with AVI was great, no issues at all. Our rep, Don, has been amazing. Nothing but good things to say about him. None of this review reflects how we feel about Don. 1) The entrance of Reynolds home is dark. Maybe more windows are required. Same goes for the Garage side entrance. 2) The tiles used in the bathrooms should've been used in the kitchen area too. Hardwood in kitchen area may not look good always. 3) Shower in master bedroom should have a tap as well. 4) Customer service post occupancy should be improved. The builder sales teams have been excellent to work with and warranty repairs with Paul Anderson have been exceptional. I would rate everything as high as possible but feel that I have an issue with my roof drainage/siding that has not been resolved and that I don't think would be to Homes by Avi standards, but have not been rectified yet. I would like this resolved still. I believe this survey doesn't reflect a true review of feedback. As we were not physically present during the pre-occupency inspection and move in time. So far everything is good. The customer service team, construction manager Noonie, Reg everybody so helpful and nice to help us also the construction crew overall experience was wonderful. In the future if I decide to purchase another home I would buy from Homes by Avi. I recommended to friends and family. Outside siding they did not send a message to let us know if they fixed the siding or not. Besides that everything is good. The only workmanship issue I have, and have had looked into, is the slowness of the cold water on my taps. It took such a long time to get cold water to my kitchen sink, a new line from my from the feed to the kitchen was put into help resolve that issue. Apparently the head recirculating line was installed too close the the cold water line, warming up the cold line. Every single line (the kitchen was the worse) takes a few moments that literally goes from cool, to warm to cold. The fix I was told was to literally rip up the house to install a new line that would have likely resulted in drywall issues from the patching. This is will always me an annoyance with the house. Also another annoyance was when we first moved into the house the reluctance of showcase to actually finish of the install of things that we purchased was ridiculous. Literally had to email our warranty rep (who was always fantastic) to force these guys to come buy and finish their install. And then billed me for something that they agreed to "help me install" without mentioning a cost associated. Will never deal with this company again and will warn others off who are looking for someone. One other annoyance I would like to share would be when planning out the house, when we were in that stage we got pot light is a few areas of the house and were assured in the few others they would not be needed due to the light off the ceiling fan. Im so glad we did put in the few pot lights we did as the other room in the house are too dark and we wish we did put in more pot lights. Its a shame as the rest of the design process was fantastic and spot of with what we were looking for! Otherwise your warranty team at the Avi offices, especially Jackie whom I had the mist contact were absolutely the best, always responded to emails really quickly and willing to help out any way they could. Made the warranty process, and the few issues we really had, painless. And Paul the on site warranty expert was absolutely fantastic. Any concerns I had, he was absolutely willing to look into them and ask a service contractor to look into. He was fantastic to talk to and show me a few hints and tips throughout the house to make any future maintenance issues easier and hopefully avoidable. The warranty process is probably the number one reason I would recommend Avi, sales team were fun, the building foreman and team were great to talk too while the house was in process of going up, but the warranty team really finished the process of building a house with Avi and made the experience worry free. 1. We purchased our home in April 2017 and had no clue or notice that we wouldn't be taking possession until September 2018. I understand it takes a while to build a home ... I had no clue when we signed that it would take 17 months. When we would call and ask there wasn't very much clarity or communication with regards to timeline. So I guess just a little bit of up front communication of possession would have been appreciated so we knew what we were getting in to. 2. The stress involved with having to choose our cabinets, flooring, tile, etc. 3. The Lawyers - Honestly this was not a great experience. Trying to get a hold of them seemed impossible by phone. Being a first time home owner I didn't know what to expect. I contacted them early August to try to set up an appt. They hadn't received our mortgage paperwork from the bank so we couldn't quite book ... no problem. What I did have an issue with was that I was told they would contact us once it was received. I knew the documents had been sent off and received and I didn't hear anything for two weeks. Each time I called I got a voicemail and never received a phone call back. Finally the Thursday @5PM before the long weekend I got an email saying we needed to make an appt no later than Tuesday, September 4th. Friday obviously I couldn't, Monday was a holiday, so I literally only had the option to book for Tuesday. Not only that, but the legal assistant didn't send us the paper work until Monday evening. When I opened the email Tuesday morning I had no clue that I had to bring a passport and get a bank draft from the bank. I had to leave work in order to get all this documentation. The office I found very unprofessional and I do not think that they represent Homes by Avi very well. Very satisfied with what they did with the house. After I took possession of my home I did not move in right away. When I came by with a friend a week and a half later. My friend noticed a scratch on the glass of the back door. Because it was a weekend I did not call it right away since it was not an emergency. I proceeded to move in that weeked using the front door. I called the office on a Wednesday and made an appointment . The representative came by, he was very pleasant and he answered all my quations except one. He said he would get back to me regarding the scratch on the door. I did not hear from him again. BUILDING WITH AVI HAS BEEN A VERY SMOOTH, PROFESSIONAL EXPERIENCE. During the initial negotiation of purchase of the home it was not made clear what was an upgrade and what was not. 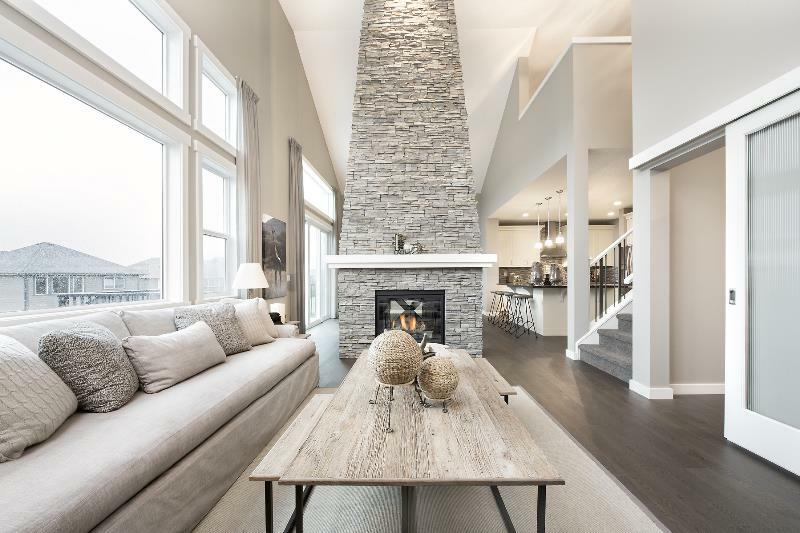 I was going through the final paper work and it was made apparent to me the ceiling - pot lights and in the showhome was an upgrade -- show me everything that is all an upgrade, I got what I wanted only because I asked to see what was upgraded. In the end it worked. I should be wowed by all that are upgrades, that was the only hiccup. Other than the delay in actualy possession Avi and all its staff were amazing. They always answered emails promptly and tried to resolve any issues as quickly as possible. Since possession they have still answered and responded quickly to any issues, I have heard from other people who built with other builders that once they took possession it was nearly impossible to get them to do anything. I would highly recommend them to anyone as a builder. My house has a great design and I like it. However, I noticed that the wood floor was severely damaged and repair in multiple parts before de posession. The builder authorized changing some boards but it was recommended not to do it by the floor expert. So we decided to left it as it was. Not very good for a new house. I think, the different trades contractors have different Quality standards, Homes by Avi should review some processes to maintain Quality of the job. For instance, when is good to install the floor so it is not damaged by other contractors or to establish strict policies of work by contractors when floor is already installed. Almost everything is good but if someone could follow up that would be good. The sales. The sales guy when we put in the contract he put in wording that twisted the contract a bit. It caused gaps in the house with the carpet. Cody I think. Other than that I have been treated very well. After sales service has been excellent. I am just not happy with the sales experience. Thank you for the great experience. They have been great overall. I thought the sales person, Anita,she was amazing. The guy that I was dealing with for the warranty items, Paul, was amazing. They were both awesome. Most of the warranty repairs were straight forward and painless. For some of the others I felt like I would have to do my own research to support my claims because I would be given what seemed like excuses not to fix the issue. This should never be like this and before I'm given an answer, the person providing the answer should be giving me a knowledgeable answer and not just a brush off. I shouldn't have to be looking into the building code myself to check what is correct. He is a very good builder and I would recommend all my friends and relatives to buy homes from Avi. Overall was very happy with our experience building with Avi. We had a couple of issues with our HRV system when we moved in and they were very quick to get service out to us. My only additional comment would be that there was a fair amount of garbage, wood and other construction materials left on the outside of the house on the property. It would have been nice for the builder to clean up outside including removing left over concrete debris. We are very happy with the overall quality and customer service provided by Homes By Avi. This is a great relief after poor builder experiences in the past. We would definitely use Homes By Avi again and recommend to others. Overall very happy with homes by avi. Would build with them again. I am overall pretty satisfied with my experience. There was good communication. They were open with everything and handled everything within a timely manner. Thank-You to The Homes By Avi Staff, Great Customer Service, knowledgeable, helpful and Professional. Commendations and Thank-You to: Reg Lewis, Ravi Dave, Kevin, Nonie, Xenia, Nick, Andrea, Don Rogers and Paul. We love our new Homes by Avi house. It is exactly what we wanted and are so please with the finished product. All the staff including sales, customer relations, service/warranty, construction, design, selections, third party inspector, trades, and closing lawyer have been so helpful! 10 out of 10, you guys rock! We're so thrilled to show off our new home and would highly recommend our friends and family build with Homes by Avi! my experience with AVI homes builders was great and so happy to have dream home with AVI. To Avi Homes - We’re are so blessed,very happy and satisfied with our new home.it’s beyond my expectations. We loved everything about it. Especially the HRV, HE appliances, my kitchen island and countertops.we’re enjoying it. The birds are loving our home too. I would definitely recommend Avi Homes to everyone who’s planning to buy a home. Everything is complete package.including 2 car garage with remote, blinds, fence, and landscaping. I enjoyed watering my lawn grasses and pine tree. Nice design. Thank you for the surprise gift the 2 beautiful,soft house robe . I would like to Thank my builder Avi Homes. The management and teams and everyone beyond the scenes for all your hard work and labor. It amazes me how it’s being built. May God richly bless you all.once again,Thank you from the bottom of our hearts. Overall great experience. Thanks to all the team members. The overall experience with building with homes by Avi was a good one. We are happy with the quality of the house and with the building process. Our only consistent issue has been the garage and yard. The garage is now (almost) complete but the yard is still not done. We were told at possession(June 19) that it everything would be completed within a couple of weeks. My second Avi home and if I were to ever build again they would be my builder of choice. My first was a starter home and I felt the level of customer service even on that spec was incredible. They made the entire process impeccable from sales to service. Overall, Homes by Avi is a good builder! Everything has been good. Main concern since moving has been the Hardiest Board siding blowing off in the wind - 1 to 2 soars per occurrence. AVI have been quick to resolve each time. Just hoping it stops now that we have houses constructed each side. AVI have been great in all correspondence we have had, prompt response from everybody. I heard horror stories about other people building new but I felt it was relatively painless. I was pretty pleased overall with the process. They have good floor plans. My overall experience with AVI has been positive and pleasant. All employees have been friendly and approachable and have, in my opinion, done their best to resolve my issues and concerns, of which there have been very few. I love my home and am very happy to be living here. Overall we are very satisfied with the customer service that we've received. Everyone we've worked with from the pre-occupation inspection till now (Ashley, Robin, Dev, Kim, Nonie, Andrea, Jackie) have been amazing to deal with. We appreciate the people that initially Helped us out. Michelle and Meagan were wonderful and easy to deal with. They really are the ones that sealed the deal with buying from Avi. Craig and Ned also have done a great job with overseeing the build. Ned has been wonderful in addressing the issues we have had. Nonie at the office has been great with responding to my emails and setting up appointment with issues that needed to be addressed. Reg Lee at the show home office was great !!!! Everyone involved that I have dealt with has been AMAZING!! I have been recommending AVI to EVERYONE!! Great job everyone!!!!!! We’re VERY happy!! When I had to email about questions or concerns Nonie she was amazing! I was pregnant and she was great to getting back to me within the hour. Incredible she made things much more easy to deal with. She kept in touch afterwards which is a great personal thing to do. It kind of left a warm spot in my heart. Trevor and Jackie are great too! Starting with your sales rep Ashley (She is stellar) to your personnel at Avi I could not be happier and would recommend Avi to everyone that needs a builder. Words can’t explain how professional Homes by AVI was. I would strongly recommend this builder to anyone. I found some more deficiencies, but my friend who recommend me to homes by avi, she told me there is a review coming to fix the problem of the my home. So i think all my problems will be solved soon. I think Homes by Avi is trustful. My husband and I had never built a house before, but we had heard stories that weren't great about builders overall, so we were a little wary of what our experience might be like. But we're happy to say that we were quite satisfied with Homes by Avi throughout the build process and during the 1st year with various warranty concerns. We would happily build with them again as well as refer them to friends and family. It was good. they did what they had to do. The people that came over for the appointments were nice and helpful. No complaints. It was a great experience and I would recommend them. I am a real estate agent and I sell Avi homes all the time. The experience was good. From the time of purchase with the sales to the plan meeting to the time of inspection to possession, everything went well. It was fantastic from start to finish. there was an issue where an object was smashed when a window was opened. They contacted me right away thinking that I had some attachment to it but I didn't. This was a great home building experience and we have had several homes before because of our lifestyle in the military. Overall it was a good experience.. I found the quality to be good and the staff be good. there are a few things that I would change but overall it was good. More information in the design process. The terminology needs better explanation. Specifically the upgrade and option terminology. Homes by Avi is an excellent builder. People are nice. Don is super nice. The do respond except I do have an experience with someone who wasn't nice. Special thanks to Michele and Megan at the sales who were amazing with the whole process and their suggestions which made it easy for us to make the decisions. On the whole we have been very pleased with the whole experience. I am fortunate to have my home being built by a responsible and caring builders Homes by Avi. I am proud of you guys, thanks so much for the job well done, and God bless you all. It was a very good experience building with Homesbyavi. House is beautiful. I would build with them again and recommend them to my friends and family. Very much enjoyed working with Avi and those associated with our move in. It has been a very good experience! Our experience has been good with homes by Avi and I would recommend them as a builder to friends and family. One issue that still exists in the Tesoro is very poor drainage at the entrance to Tuscany ridge circle. Any time it rains or snow there is large pooling of water that should be resolved. The sales team lead by Sylvia L are very supportive. They always informed us the status and the progress of the construction. They are so accomodating of our concerns. The entire experience was great, starting from the awesome sales people of Susan and Anita, all the way through the design centre, the on-site people and the follow thru. It's been great and we're really happy with everything. Susan was extremely helpful during the whole process. We pestered her frequently for information throughout the last few months and she always responded within the hour with detailed responses. She acted as an excellent proxy between us and the builders and always relayed our concerns immediately to them. On the possession date, the crew that handed over the keys were also very thorough with their work, addressing the issues I pointed out promptly and often noticed things I missed myself. Entrance door is made of glass! I don,t think it is safe for a family. And the entraince door is too expensive to get replaced for us. However i appreciate your excellent customer service from every person in Avi. Every issue was solved fast and satisfied! Really good. I still need to contact Avi to set-up my meeting with them, but, just have a seasonal item. Back door item, but, will be done when it warms up. All good and happy with our home. Thank you. Overall good. Jackie is in contact with us and we have our first quarter meeting lined up. She is great. We have some fix items coming, but, know they will get done by Homes by Avi. A little better responsiveness would be good from other people, but, Jackie is really great. I have already referred my friends to Homes by Avi. I'm not sure if they purchased yet or not, but, definitely referred a couple. We just had our service guy come by and complete some items who was very nice and great to work with. This is our second Homes by Avi Home. It was really good. They followed up with us after the three month review. There were some items outstanding which I know they are getting to complete so I would say they are an 8 out of 10, but, other areas are really great. Chad has been amazing. It’s been great going from an amazing construction staff to an amazing warranty staff. I was worried because construction set such a high bar that warranty would not be able to keep it going but chad has! Outstanding experience in working with Avi throughout. Process was always really easy, timely responses and found the tech assigned to us to be really helpful. We had a good experience in building our home. We are pleased with the final product. Any very minor deficiencies were corrected in a very timely fashion. The warranty appointments were very thorough and the follow up was scheduled at convenient times. All of the people who came to the house for repairs were quick and efficient. Meagan and her team were awesome, I love working with them. I think that the people that are working for the builder, like the guy that comes and fixes stuff is fantastic. I think his name is Trevor. We were very pleased with our experience with Homes by Avi - from start to finish. I do know some issues may not be addressed due to weather but we love our new home and neighbourhood. Awesome experience with the service and warranty. Chad was amazing and I don't fault him for any of this. He can only do what is in his control. These guys are a great customer service dept. The quality of work is one of the better builders out there. besides those couple of issues that are fresh in my mind, they are great builder. One of the best I have dealt with. It's been a very smooth move. They are standing behind their product. This is my second Avi house. My last home was an Avi house house and I came back to them. The quality was sound so I came back to them. We are glad we went with Avi. from the beginning to the end it was a great experience. Everything has gone very well and Homes by Avi has been accommodating. Followup has been really good and we have been really good. All is good. Everything is good. its our first house we buy..Really we are lucky to have AVI builder .They provide us what they promised. We experience it as our dream house. Everything was good. We had some hiccups with he flooring with the installation but everything else was good. It’s been great working with the Homes by Avi people and their contractors. Thank you! As a first home buyer the sales team at Tuscany was amazing and very easy to communicate with. Megan and Michelle at Tuscany were wonderful, which made the whole process a success. I wish we could build another house right now with Homes By Avi, it was such a fun experience. Megan, Michelle and Craig were wonderful to deal with. Design centre came through for us and it was a fun experience. Megan was amazing and went over and above in her duty to help us with all of our concerns and sometimes crazy ideas. She made the whole building procedure easy and fun. I Feel proud and satisfied that HomesbyAvi is my builder. They were flexible to accomodate the changes i made to their base design. Our house became a custom house at the most reasonable price. Really like the house. Had no big issues and the few minor things were resolved immediately. Cannot be more grateful for Chris Stock’s help during the whole process. Very happy customer. Very satisfied with the overall quality of the home. Site supervisor was very helpful and polite whenever I talked to him. It appears that the workers took pride in building my home, fit and finish is very nice. Sales team were absolutely excellent. Handled all my questions and concerns right away. Walked me through the things I didn’t know and make accommodations when I needed them. Terrific all around. The site foreman was also amazing. Extremely helpful with my questions. He provided a lot of great maintenance information. He made learning the operation of the house easier and a lot less overwhelming. Anita, Susan and Robin were all fantastic to work with and were all on the ball. I am very impressed with this team and will continue to recommend HBA to all of my family, friends and clients. Great work team! We were a bit worried going into the building process as we had heard a lot of nightmares other people had experienced when building a home (not with Avi, specifically). The whole process was nothing like we expected. It was positive through and through. We can't say enough about the Avi team, from Ashley our sales rep, to Kim and the rest of the crew on the construction side. Awesome group of people to deal with. I am really happy with Homes By Avi. I think they did a good job. The big thing is the sales rep that sold us the house, I was impressed with was after he was finished with his responsibilities he kept in contact with us to see if there was anything he could help us with. I understand that he could have just left things alone once his duties were finished but he didn't and helped us out. We really appreciated that. Corey. Great Account Manager Megan. She really helps this whole purchase process a great experience. I would like to specially thank Anita and Susan for all their help, they are very knowledgeable at their job and remained surprisingly patient with all our questions. Overall, we couldn’t have hoped for a better team to deal with. Thanks so much for everything, this has been a pleasant experience for Annie and I. Thank you to everyone in front and behind the scenes! Susan and Anita were amazing to work with from the beginning to the end. Joanne for helping us pick our colors, we absolutely love everything we selected! Robin and Josh for building us a great house to call home. Kim and Nonie for all of your patience and help through the process. It was a great experience and we love our new home! They gave us heads up on everything that was going on and they called us to keep us informed when work needed done. Generally a good experience. The only issue I had i had to keep chasing people to get things fixed. everything has been good. The sales team was amazing and Ashley was amazing, She was the reason we bought a house. My overall experience has been very excellent. I am very lucky the communication has been excellent since the get go. They had to rip out a section of sidewalk there is 4 to 6 inch gap they had to dig out that is still not fixed kids were getting off bus and one of the kids fell on this gap and they are either side of the sidewalk this has not been filled in. We had a great experience with Homes By Avi and would def recommend to family and friends!! The only one thing we would probably recommend is when you deliver the home to the customer the cleaning crew could do a better job of cleaning. We found a lot of dust along the floor boards and basement was not well cleaned. The little details matter in the end as we had to hire someone to clean these areas due to allergies. Other then that we had a great experience and felt like the builder did a great job in answering all questions and concerns we had. Very impressed in every aspect of the building process and the house !! The overall experience has been a good one. All trades and builder reps have been very accommodating. Thank you. I feel good and we are blessed because every time we have visitors in our home, they always said that "you have a nice house"... awesome!! This has been by far our best building experience and this is our 3rd build with all different builders. AVI was wonderful to work with from beginning to end and we would build with them again in a heartbeat. Their staff is incredible. We recommend AVI to everyone. The only thing we feel is that we hugely overpaid on the upgrades we requested in our home. However, in the end it is my husband and I that signed off on them. 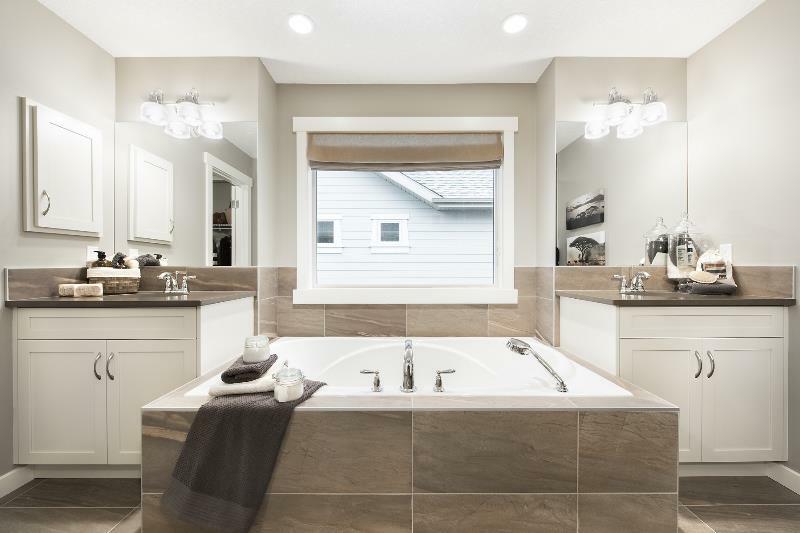 We would do things differently in our next home and do the upgrades after the fact so that when we do sell our home eventually that we make money instead of lose money. Lesson learned. We do have a beautiful home though and AVI did a wonderful job. The reviews throughout the year were easy and all issues resolved. I must give a huge shout out to Ashley/Robin/Don/Kim and Xenia. They are all great at what they do. I haven't met Jackie but she is very friendly & acted promply with questions/ concerns I had. Kevin is knowledgeable & demonstrated exceptional costomer service. During a repair visit, I mentioned my Enmax monthly bill was always high, he suggested I get energy saving light bulbs, which I did & he installed all for me, thoughtfulness I greatly appreciated. My monthly bill has decreased! The one thing I wish I could get done, is to have the dirt & gravel spread so I can have a levelled parking pad/ back yard. I honestly don't think I should have to pay to get the parking pad/ back yard situation sorted out. Thank you for reading & listening! Megan was amazing throughout the whole process, Joanne in the design centre was great and Craig was excellent. We are very pleased with our new house and the whole experience was smooth and easy. We asked for no surprises and so far there have been none. We really enjoyed the whole house selection, interior/exterior selections process through to final posession. Sales folks were great, the foreman were nice, selections designer was great, and we appreciate the outcome of her recommendations. Designer does know best! Since move in, therés been some issues but nothing that was not quickly remedied. Probably only real surprise was really our own issue - the space used by the 3 bins was an area targetted to become part of our garage workshop area. They take up a lot of space. We'd have liked more basement storage area, the Rundle model has a huge area in comparison. Grading, we'd like it done sooner rather than later so we can crack on with putting a shed in the garden and free up space in the garage. Overall very happy with the house, the plot and the development. I doubted my possession date but surprisingly the deadline was met. We moved to Calgary last May/2017. Moving here was a huge undertaking for my family as we had lived in the same community for 30 years in Langley, B.C. Our family had just experienced a tsunami of tragedies thus the decision to move here to be with our grandchildren. Moving in to our beautiful new home in Mahogany was just a wonderful time for us. Seeing our gorgeous new home for the first time is something that will always be a happy memory for us. One thing that stands out in my mind is when we saw our master bathroom with two brand new his and her bathrobes. That was such a special touch. I have to honestly say I have never experienced anything like that and it made Bill and I feel very special. Every time something went wrong with anything in the house I emailed Nonie and the customer service we received was fabulous. Every little thing was fixed promptly and done right. I can't say enough good things about our Avi home. It is beautifully built and we are just so happy we chose to buy it and live in Mahogany. I love the finishings in the house and it has truly become our home. We have the best experience with the purchase of our new home with Homes by Avi, we have received an outstanding customer service and the items that we addressed were minor items nothing was major however, Homes by Avi always pay attention and solve them properly. We are really happy and proud of our new home and the quality of the materials used by Homes by Avi as a builder. Service personnel was very knowledgeable and helpful. "My husband and I are extremely happy with the WHOLE Avi team and the experience we had with all of them. They built us an amazing dream home with flawless professionalism! We are currently raving to everyone we know about our great experience! ?? I will always say that Homes by Avi are living to their name and motto. My experience has been so tremendous even when many of my friends who built with other builders were complaining, l am smiling. I only hope and wish that Homes by Avi will never lower their standard in term of quality and superb customer relationship. I am very happy to recommend Homes by Avi anyday to anybody. They are best by far! My serviceman Paul is excellent. Don't lose him! Also, your customer service department is very good. Homes by Avi, is really a good builder, but sometimes their is no perfect, but still the representative will come and fixed what wrong until they really fixed the problem. Overall quite satisfied with the product and services from AVI. The weakest link for us was the quality of the product and poor workmanship that went into laying the front sod. It definitely could have been better and required me to spend a fair bit of effort to ensure it survived and knitted well. "Overall, we really enjoyed our build process. The only thing we had an issue with was scheduling warranty repairs. There were a few instances where we had to follow up several times & wait weeks to have our issues addressed. A warranty tech would come to the house, address half our issues, & then we'd hear nothing in regards to the outstanding items without following up. It was a little frustrating at times. That said, the warranty techs were always on time for scheduled appointments. There were only a few instances where we had to wait for trades outside of HBA past the scheduled appointment time. The repairs done on our home were generally well done, minus one. The paint on our front exterior door chipped & cracked over the cold months, so we arranged with warranty to have the painters come in, sand it down, & repaint it. We discovered after the interior of the door was painted that the painter had splattered paint all over our floor, wall, & door mat. It wasn't a large spill, but there was paint splatter in approximately a 3' radius around our front door. we didn't feel there was proper attention given while the door was being painted & we then had to clean up a mess after the painter had left. In terms of finishes, we are happy overall. Our biggest complaint is the quality of the interior paint. It shows every little fingerprint & scuff, but is impossible to wash without leaving a streaky mess! It's like the first layer of the paint comes off when scrubbed. The walls in our stairways, bathrooms, & entry ways are a mess - just from regular wear & tear. After only a year in the home, I don't think they shouldn't look like they're 5 years old. For the most part we really enjoyed building with HBA. There were a few hiccups along the way, but everyone was always very friendly & easy to deal with overall. I think communication in regards to warranty repairs could be better executed, but other than that we have no major complaints. We would build with HBA again & recommend to our friends/family!" Overall it was a good experience. We haven't found many issues. We only found 2 of them and it took a good amount of time to fix them. Other than that it was good. "All Homes by Avi representatives have been very friendly, helpful and committed to me as a customer. I would like to thank Jeff, Megan, Linda and Nonie in particular for being there and answering any of my questions through the build. There are only a few things I would say that could be done differently, one is an explanation of certain upgrades, for example the front door and garage door I would have preferred to have windows, but didn't think of this when asked if I wanted to upgrade it didn't occur to me that this meant adding windows. The other thing I would say is that I felt a bit pressured to sign off on the build prior to going to the selections centre. I would have preferred that selections was done first to make sure that everything was covered off. There are a few things that I would have done differently in terms of selections and windows, but overall I am extremely happy with the house and how efficiently and smoothly the build went. Thanks for the nice welcome gift, it was much appreciated and needed after a long day of moving. "Great Experience thus far from sales staff to construction staff and now warranty. Linda Lee was great and having the realtor fee reduction was appreciated. Like any new home there are small items that have come up, but nothing that is outside of my expectations. The Humidifier failed and we need two visits from the contractor to resolve, the HVAC contractor also installed the incorrect furnace (have since resolved and set up a time to switch out). There are other minor items that we expect to be resolved through the warranty process. Final parging, grading (including exterior site clean up) and retaining wall is still outstanding, but expect that they will be down when conditions allow." "I think the color scheme is ridiculously grey and drab, a little imagination could be used by your designers overall. The stair railing brackets are hideous and overkill, I will be replacing them with regular silver brackets. Also, the fact that decora plugs were only used on upper plugs is cheap. I wasn't able to put in a gas line for my stove, that cost me a lot to rectify. Overall, I love my home. It is well built and the location is awesome. I like the windows and how bright it is. I don't have to finish anything, just paint and replace hardware and lighting. Everyone at Avi is helpful and responsive. Paul has been great. My next home will be an Avi home for sure. I will just make sure I can choose the colors and finishes!" Recommended my friend to purchase from their multi-family business and she just moved in recently. Have had bad experiences with other builders and now in my second Homes by Avi Home. Absolutely no issues with them. Wonderfully helpful sales staff. Both Sylvia and Michelle remembered that possession date was my birthday and brought balloons and made me feel special. The customer support offered by Xenia has been exceptional in our opinion. The two service guys (Kevin and then Chad) were both really knowledgeable and helpful. So far, we've had a great experience with Homes by Avi staff. Thank you for building my home. Overall I have been pleased with the responses I have received for most of my warranty issues. There have been some issues with the number of visits required to fix certain things, and with the quality of work by the landscaping crew (not the builder) that have have left me feeling that I deserve better, but on an overall scale things have been quite good with this builder. Generally, we were very happy with the all aspects of our home purchase. From early sales through to final touch ups, most AVI staff were helpful, friendly and fairly quick. I would recommend AVI in Nolan Hill to others absolutely. If there were anything I would do suggest is more options and discussion at the sales side around front-yard landscaping and more deck and back-yard options. These weren't really offered or available I guess so we didn't do them as I want a bigger outdoor deck than the one that was offered. Since it was that or nothing, we chose nothing but that might be an opportunity for others in the future. Otherwise, very happy and please forward my thank you to the whole team. This was our first home purchase and we're thrilled with the experience. Overall, we are very happy with the entire process from beginning to end. Everyone we have dealt with went beyond and above in answering questions. "Overall I am very happy with the service Homesby AVI has provided! The option to add a garage would have been nice." "My only issue is with the huge pile of dirt behind my home which blocks my view of the mountains - which is why I choose this lot. I understand that this is the top soil for the community but no one is able to give me a timeframe for it's removal from MY view. It truly is an eye sore. I would like the developer to lower the pile by even a few feet before this summer so that I might be able to entertain friends on my deck and enjoy the west facing view. Overall, my experience with Homes by Avi was fantastic and my home is beautiful and I am extremely proud of it! Thank you"
"It was my first house. I was so excited and nervous. My whole experience was so smooth and there was no stress at all. Reg and Ravi helped me throughout the process. I am loving my new house. It's the best thing that ever happened to me. 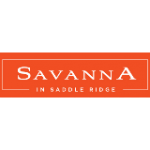 Homes By Avi team at Savanna is wonderful and the best team. Thank you for everything. It was a pleasure dealing with homes by Avi team and getting our first home build the way we wanted was just the icing on the cake by homes by Avi team. Homes by Avi team made our house a home. Thank you so much for everything you have done for us really means a lot. I couldn't have been more happy with the builder and the way our home was built keeping in mind all the requirements and details which we requested during our initial planning phases. While everything was up to my expectations, the work done on the outside portion of the door facing the garage wasn't up to mark and could have been done in a more clean and systematic way. Hope these suggestions and advice would be enacted upon in near future. Thank You AVI for giving us such a beautiful home. All the staff at AVI were very helpful during the build process and continue to be helpful after possession. Would recommend AVI to everyone! We had a great experience with Avi. We're still waiting on a window to be fixed which is frustrating as we have taken numerous days off work and it still is not resolved, but we recognize that, that is all weather windows, not Avi. "Xenia is very patient and she responds quickly to emails. Chad is an excellent warranty tech. He cares about our home and fixing the deficiencies like it is his home. He is an asset to your company." It's our second build with Homes by Avi and we really enjoyed and was impressed the first time around. We didn't even consider any other builder this second time around and our experience was even more impressive this time. Big thanks to Ashley, Nichola, and Nicole for their exceptional service! Our expectations were exceeded from the moment we bought. The sales guy, Cory, his attitude was fanominal and amazing. Their ability to accommodate all of our changes in the design and then seeing those changes get follow through with was great. Everything exceeded our expectations. It was a really smooth process (purchase, build, move-in). So far so good. I thought that Susan was very friendly and helpful and was a pleasure to deal with. Also, Scott was thorough and knowledgeable during the walk through. Homes by Avi is a better builder. Better design. The only thing I don't want is your appliances brand name. We are just a year and 2 months since we moved in,our oven broke down. "Overall, I am very happy with my house thank you!! The only thing that I am not thrilled above is the slope of the backyard and the grass and how lumpy it is and not well laid." Everything went well, I've noticed a few things that were missed when doing the walk through inspection, but I think that is to be expected when living in the house and being more familiar with the space. Overall I'm happy with the level of customer service! "I believe that you have very strong relationship with your contractors. If there's issue to be resolved, they would call me right away and book an appointment to fix what is required. They are very polite and very time conscious. Most of all, a huge credit to Nonie Warin. She is the best! She has full knowledge of the product and her job as well. Very polite, and she replied to emails promptly. Always available for any inquiries." "I had a great working relationship with all the teams that were involved on my home, they were very knowledgeable about the process and provided responses to all my questions. I particularly love the independent consultant that conducted the pre-possession walk through, as she provided valuable insights and tips to maintain the quality of my home. However, I wish I knew better on a few items such as a separate heating controls for basement, which would have saved a lot in terms of heating costs. A big thank you to the team at Nolan Hill, Homes by AVI." "We are very happy with Homes by Avi. We are satisfied with the interiors. From the first day we met with Sylvia, everything went the way we expected." "We appreciated Stacey's ability to communicate regularly, sending pictures, etc as the building went forward. We did spend a chunk of money to make changes - the penalty could have been prevented if we could have seen the interior sooner - then we could have made the changes before signing off. We realize our changes did increase the cost of the building. We love our home! Thanks you for a very good experience. Homes By Avi are actually amazing! Cory was absolutely amazing with everything and deserves credit for the work he does. He went the extra way and contacted me after about 2 months just to follow up and check in I would definitely recommend Cory specifically to my friends and family. The whole warranty team was fantastic way beyond my expectations, especially Zena was amazing and did such an amazing job she was quick to answer my calls or emails. Donald was great, he gave me a lot of ideas that helped me to save my house regarding sprinklers, paint, etc he actually did the orientation with me. He is very polite and very friendly. If I am ever to move, 180% I would stick with Homes By Avi! Very satisfied! Solid,, quality construction throughout. Would love to build with Homes by Avi again in the future.